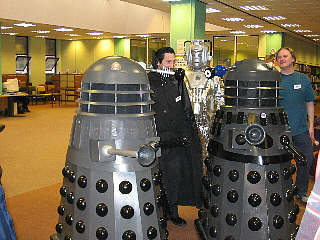 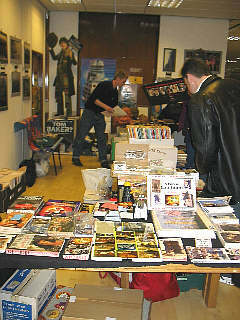 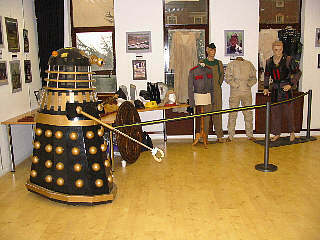 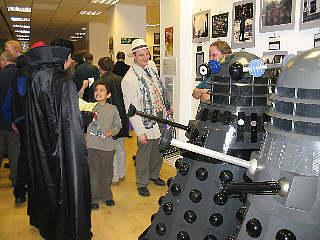 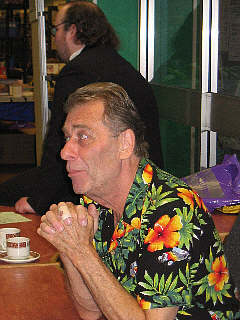 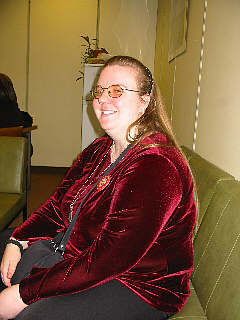 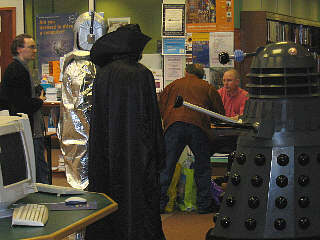 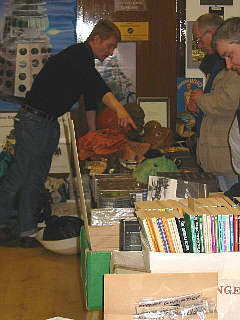 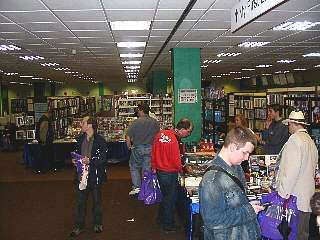 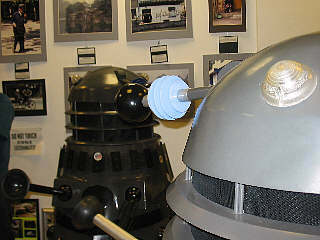 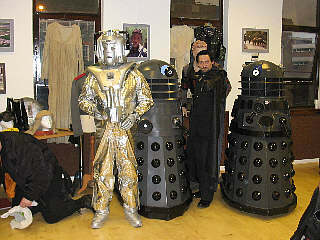 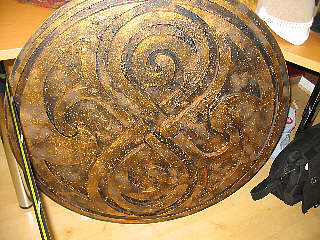 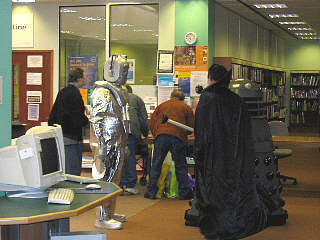 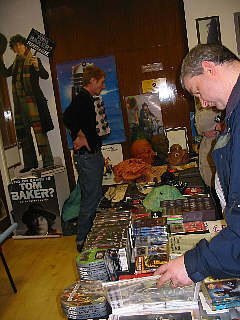 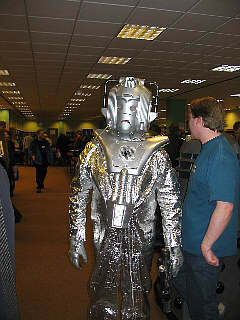 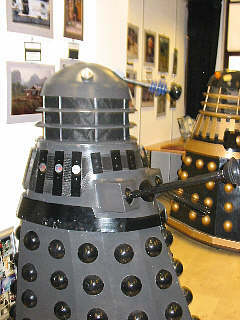 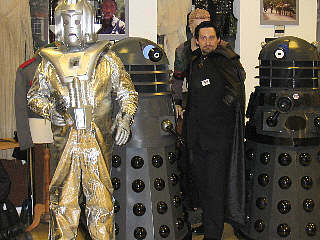 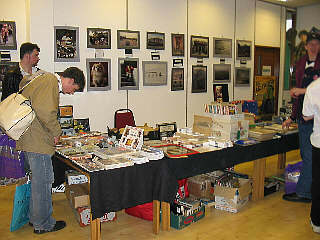 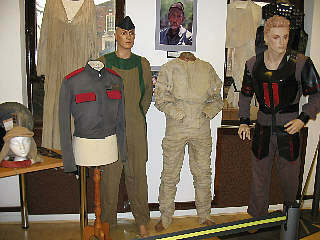 Invasion IV is the fourth one day Doctor Who convention sponsored by the Tenth Planet SciFi store in Barking, Essex. 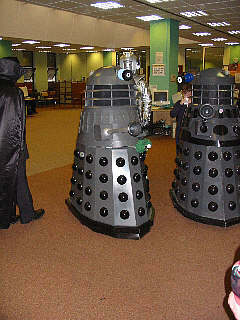 With nearly 350 people from all over the world attending the event at the Barking Library on Axe Street it can be proclaimed a roaring success. 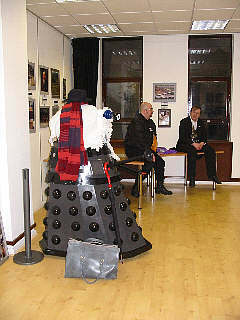 The guest list included Sylvester McCoy, Lalla Ward, Mary Tamm, William Gaunt, Peter Purves, Nabil Shaban, David Gooderson, Sarah Mowat, Conrad Westmaas and the unadvertised appearance of John Levene. 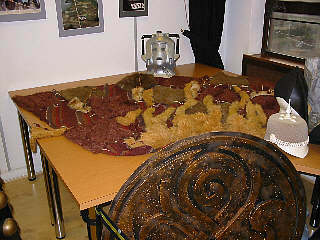 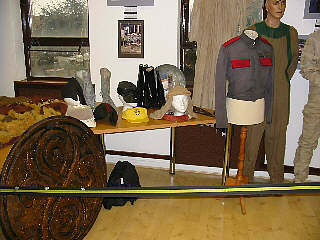 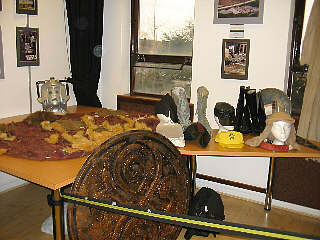 A highlight of the event was the many props and costumes on display from the private collections of our Gary in Sussex and Steven Cambden. 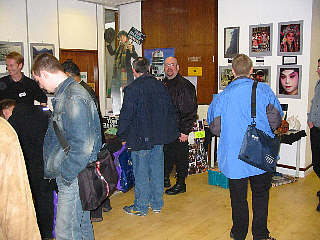 Richard Briggs and his son Tristin flew in from Washington DC. 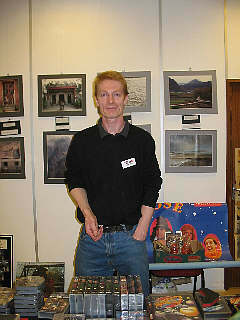 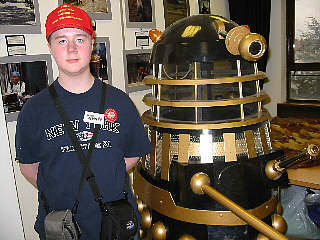 Colin Young made the trip from Scotland and Matt Parish was there to keep Richard from going astray. 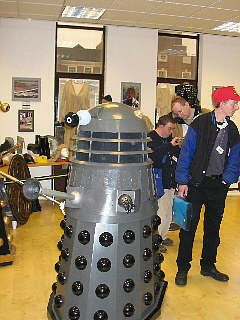 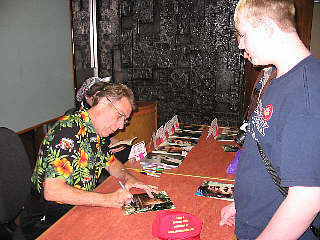 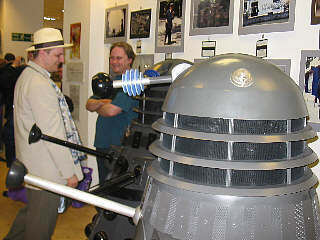 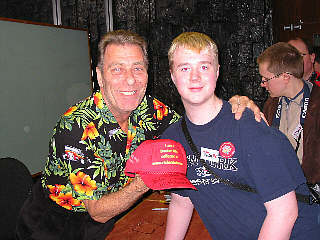 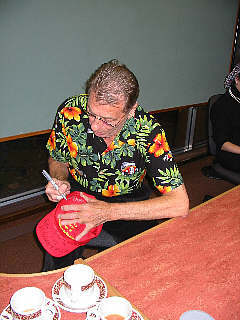 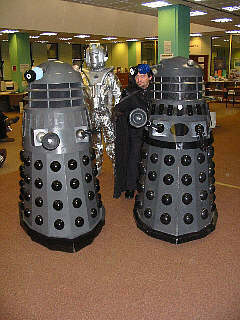 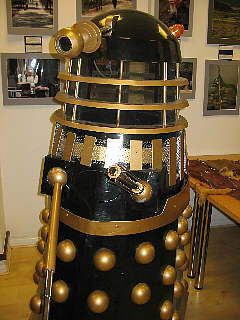 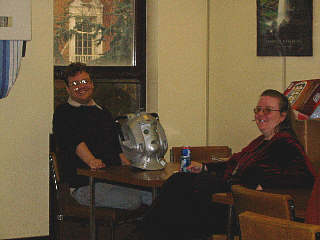 Dale Who was seen climbing into a Dalek with Frank Xerri in tow. 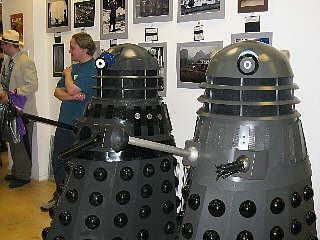 Paul and his 10th Planet team put on a well organized and very entertaining day filled with lots to see and do. 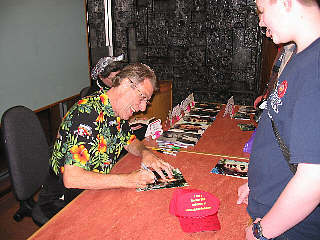 Tristin and Sylvester McCoy showing off Richard's necklace from the "Greatest show in the Galaxy". 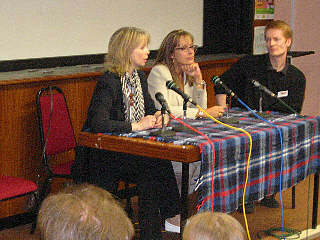 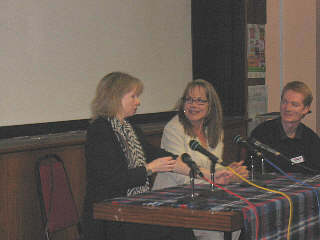 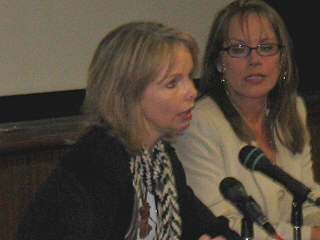 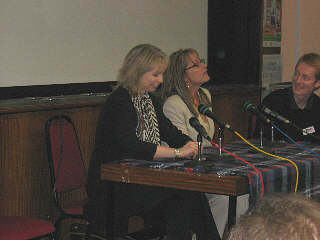 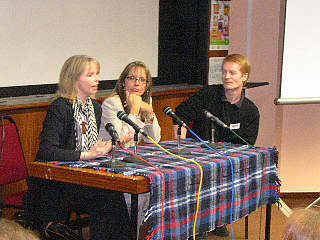 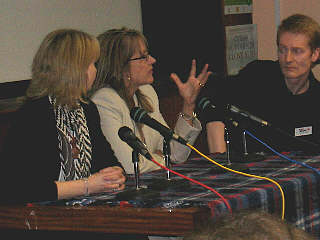 Lalla Ward, Richard and Mary Tamm. 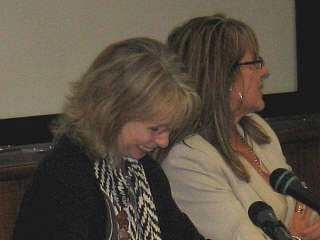 Lalla is holding Richard's K9 Manual from "Meglos"
All of the pictures on this page are the property of Richard Briggs and Tristin Briggs and may not be used or reproduced in any way without their explicit written consent.